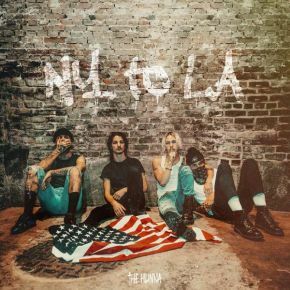 The Hunna release ‘NY to LA’, the latest track from forthcoming album ‘DARE’ - due July 13th via 300 Entertainment. Following the announcement of their second album DARE at the turn of the year, The Hunna has graced their fans with lead singles such as the title track, 'Dare', 'Summer' and the anthemic 'Flickin' Your Hair'. Today, the four piece is back with the next single, titled ‘NY to LA’ via High Time Records, which is undoubtedly equable with The Hunna's beloved sound. Since releasing their debut record–which peaked at #13 on the official album charts, The Hunna has gone on to sell almost 50,000 copies and accumulate over 100 million streams. The band began the new year with two huge nights at London’s Brixton Academy, where they sold almost 10,000 tickets over the two dates. In 2018 alone, They have toured North America, Europe and Australia where they played to sold out crowds in major cities such as New York, LA, Sydney and Berlin. With their cult following and more impressive music on the way, 2018 is surely looking up for The Hunna.